Do We Require So Many Dam Projects? The future economic growth of the Jammu and Kashmir state is likely to result in rapid and accelerated surge in energy demand, with expected shortages in terms of supply. Many of its current policies and strategies are aimed at the improvement and possible maximization of energy production from the renewable sector. It is also clear that while energy conservation and energy efficiency can make an important contribution, renewable energies will be essential to the solution and are likely to play an increasingly important role for providing enhanced energy access. 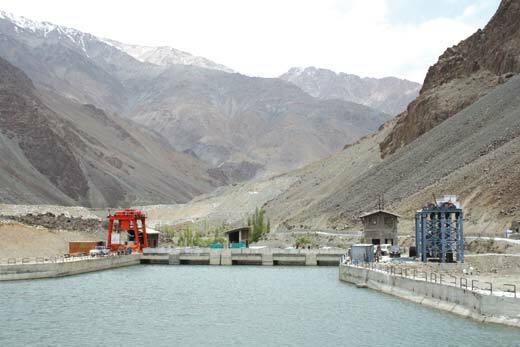 At a time when hydropower dams are running into challenges across South Asia, and are being dismantled in the US and Europe there is increasing construction in Jammu and Kashmir. These dams were created to improve the quality of life for humanity but what do they really do? The intentions are to prevent floods, provide power and to be an accessible reserve for drinking and irrigation purpose and to benefiting the modern society. But there is one huge flaw, like so many times in history the possible negatives were overturned in the name of “progress”. Dams actually have several negative impacts on the areas where that are built. They completely destroy river systems. For example, a dam blocks fish migration and hinders reproduction, this has the potential to drive some species to extinction. They are a temporary fix but in the process create even more long-term issues that are not so easily solved. Furthermore, they create stagnant water and deteriorate its quality due to cascading of hydro projects on the same basin, which possesses numerous problems as algae growth and temperature and oxygen levels change around a dam are often unable to support aquatic life which otherwise could have been a source of third generation fuel for biogas production. = Jammu and Kashmir is categorized in zone IV & V seismic earthquake-prone area adds to further miseries associated with large structures. This raises the question: are we really moving towards sustainable development? NO! In order to mitigate this problem, we need to look for better site selection, move towards small hydro and other renewable sources of energy. This article is based mainly on a case study focusing on the construction of eight new major hydropower plants across Jammu and Kashmir, and the mass deforestation in the state for transmitting power out of the state. Electricity is an essential source of commercial energy. It is vital for sustained economic growth. An increase in demand for power implies growth of the economy leading to modernization, industrialization and improvement in basic amenities culminating into a better quality of life of people. At the same time, sustainable development is global desire with all the countries focusing on the introduction of new technologies that are eco-friendly i.e. least impact on the environment and social aspects. However, due to its strategic location in Himalaya’s Kashmir has abundant water resources and offers large promises of hydropower potential with an estimated value of 25000 MW, out of which not even one fourth has been exploited. With such a hydro potential, there has been an immense focus on large hydropower plant construction over the years and that has directly an impact on sustainability which cannot be ignored. Eight new projects located in zone five in seismic studies could be a disaster, besides it will destroy the forest lands and affect the areas around the river stream due to degraded water quality and less sediment downstream. Cascading of dams on the same basin affects water quality, organisms, sediment flow etc. The related ecological effects of these constructions on flow patterns, water quality, sediment have led to increased concerns in recent years. Most of the works so far focus on the assessment of vulnerability, risk, and damages to single factors, such as soil conservation, fish reproduction or vegetation. India has planned a number of hydropower projects on the Chenab River apart from the already existing projects such as Baghlihar I and II and Dul Hasti. The upcoming projects are Sawalkote (1,856 MW), Kirthai I (390 MW), Kirthai II (930 MW), Pakal Dul (1,000 MW), Kwar (540 MW), Kiru (624 MW), Bursar (800 MW) in the Chenab basin. Environmental experts have raised concerns about the construction of a series of big hydropower projects on a single river basin. Another concern is regarding lack of cumulative assessment of the Chenab River, which may see multiple hydropower projects as it runs through Jammu and Kashmir. There are concerns about the local environment and ecology, environmental flows, seismic concerns and others. The entire Jammu and Kashmir falls in seismic Zone-IV and V and is vulnerable to natural disasters particularly earthquakes. With such large projects on cards, it is danger mark for human sustenance around the project location. 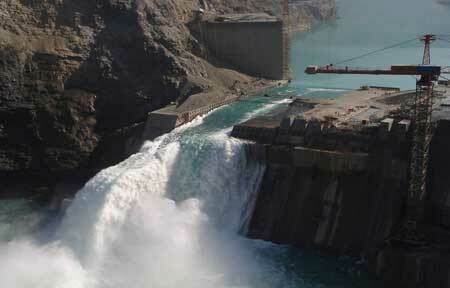 Jammu and Kashmir mainly produces and depends on hydropower generation technology. The state is having a great potential for solar energy. And also comprises of biomass due to the availability of forest and agricultural land. Wind energy potential also contributes to renewable power generation of state. Potential of micro hydropower and solar are increasingly available, however, the state is largely focused on the power generated from large hydropower projects. Many new plants have been demonstrated and installed at different places. Many nodal agencies are working on these sources to provide energy to all parts of states. Harnessing solar energy is the least priority for all the concerned agencies in Jammu and Kashmir despite the fact that State has second highest potential after Rajasthan. As per the study conducted by the National Institute of Solar Energy (NISE), Jammu and Kashmir has solar power potential of 111.05 GWp (Gigawatt-peak), which is the second highest after Rajasthan where the potential is 142.32 GWp. No other states have the potential even up to 65 GWp. A total of 1,779 hectares (17.79 square kilometres) of land is required for the project Bursar out of which 1,149 hectares (11.49 square kilometres) are forest land. The project envisages the construction of a 265-meter high concrete gravity dam to generate hydropower with an installed capacity of 800 MW. Total submergence area is about 1,443 hectares (14.43 square kilometres), of which 883 hectares (8.83 square kilometres). The EAC members felt that the proposed location is located in a rich biodiversity area. Kishtwar High Altitude National Park is located within 10 km radius of the project site, addressing of deep pools and their season migratory path in between dam to the powerhouse for fish spawning. Disaster Impact Assessment is also missing while biodiversity impact assessment, downstream impact assessment and social impact assessment have not been adequately assessed. According to the EIA report of the project, a total of 18 hamlets are going to be affected directly or indirectly due to various project activities. “All of the affected villages are going to be affected partially however, some hamlets would come under the reservoir area,” says the EIA report. As per the EIA report, the total population of affected villages is 16,943 and spread over an area of 13,368 ha (133.68 square kilometres) distributed among 3,193 households. There are concerns about the local environment and ecology, environmental flows, seismic concerns and others. The 3 gorge dams on the Yangtze River killed a large amount of plant life around the river which will mostly never recover. It looks like Jammu and Kashmir is going to meet the same fate if not looked upon earlier. Besides dam structures, the transmission systems have lead large havoc as it forces us to sacrifice nature gifted forest covers with the estimated 1.5 million trees to be cut in the state. It’s a large blow to the sustainable measures adopted all over the globe. While all the people focus on plantation drives around the globe our agencies are hell-bent on cutting the green lush parts of the state and the day will not be far when the so-called paradise will match the weather disasters like the other states of India. It is believed that more than 40,000 (forty thousand) forest trees have been axed during the last couple of years in J&K paving way for laying of 440 KV DC Samba- Amargrah transmission line. In addition to it thousands of fruit and non-fruit bearing trees have also been axed. The above discussion raises some serious questions like are we so selfish to destroy other organisms just for an easy way out? Is it worth ruining the environment for future generations as alternative clean power methods are available and it is unnecessary to insist on developing an arid landscape? Obviously, river life was not considered when these dams were built, J&K enriched with forests and water resources obviously are subjected to exploitation without proper planning and site selection procedures. There is no real reason to push large hydro in Jammu and Kashmir without proper site selection and sustainable measures. There are a number of simple reasons for this like, danger of methane emissions, erosions, water quality, and landslides as the warning in all large hydropower projects. The shift from hydropower to solar power can be a valid substitute owing to its enormous potential in the state. Ideas expressed are personal. Shams Irfan edited the copy. Truly said bro …. proud of uh..